Winning catitude: Two mums are better than one. All the love from the cutest two best mums! The meownificent card is for LGBTQ families that you call both parents mums. This sweet card also doubles up for fur babies that have two cat loving mums too. Love is love, more love more the merrier! To a beautiful cat mama, you are the perfect human. Love my cat mum forever (fur-ever if you love puns). 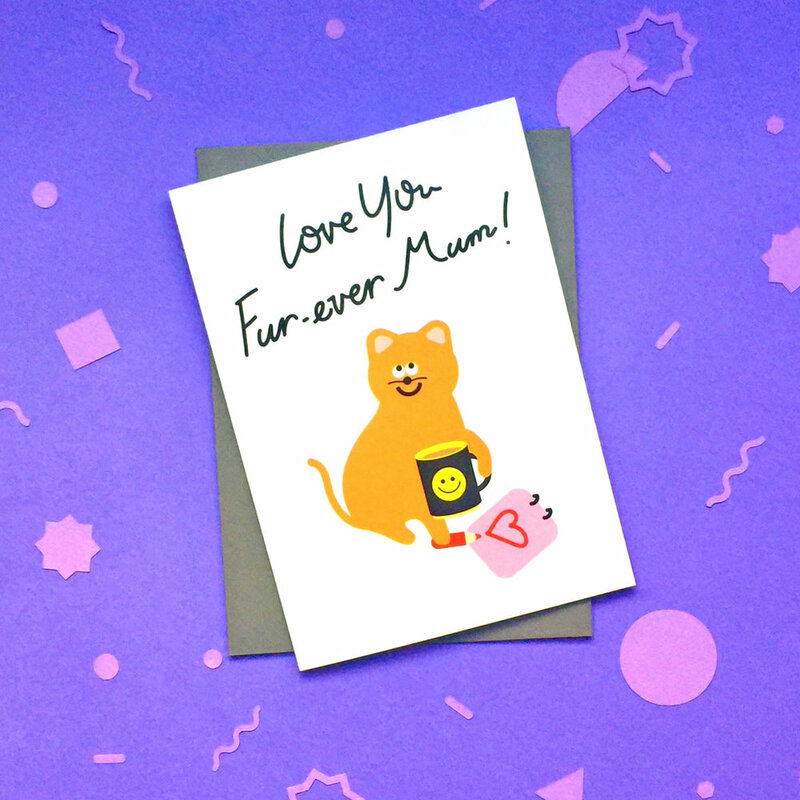 This mother’s day card is a purrfect one for a cat loving mum, a cool cat lady, sending the card directly to mum from the cat. This cat card is a sweet Mother’s Day card dedicated for cat lovers. The card also makes a cute birthday card for cat lovers. “ To a beaut cat mum, you're the purrfect human. You, me & a cuppa. Lots of snuggles. P.S. We love the name Tiddles for a cat. Tiddles was a tabby and white cat, also known as the Paddington Station cat. Tiddles’ story could be found here. Thortful is a fun online print on demand greeting card platform. You can customise your own message and add emojis too in your message. (A super duper cool feature that we love love love!) Order these exclusive cards via the following link on Thortful. You can have the cards posted directly to you or directly to your receiver. In addition, the card designs are available to be made into cards of different sizes, or card gifts too which include chocolate, notebooks and even cake! Have a mother’s day full of catitude! Meow!